There were probably two homes in use here, the Emmahuis alongside the “Jozeboko home” next door. 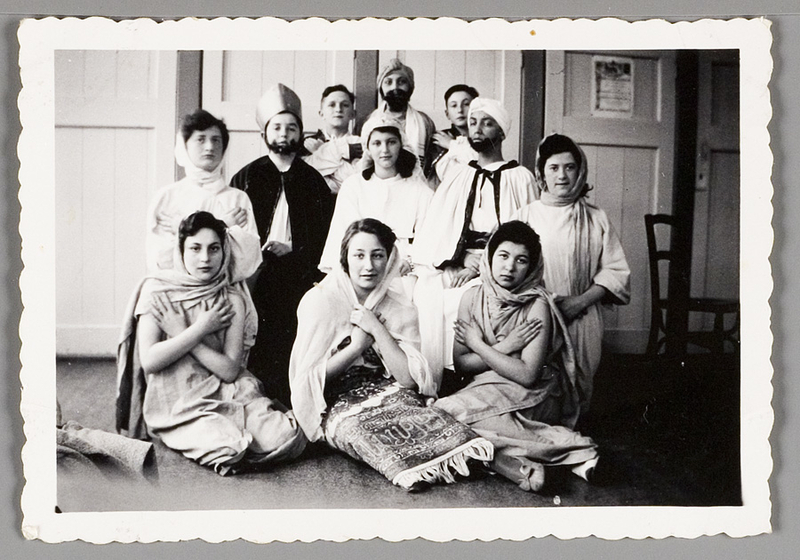 The first refugee arrived here on January 10, 1939 and the facility closed for refugee children at the end of March of the same year. The building was opened in 1895 and does not exist anymore. I think on the 11th of January  we went to Wijk aan Zee. They had things for us to do: there was all yarn on the table so we could knit or crochet, do something. How we were transported I don’t remember. I do remember it was sort of a modern place. The bathrooms were downstairs and we had to take cod-liver oil every evening. And I was so happy that I didn’t get any: I didn’t have to take it. But I had to be in the group, go downstairs with them. There were pails, one for clean spoons, one for dirty spoons. Everybody spat it out, afterwards, on the floor: they couldn’t do anything about that. So it was all oily and it tasted awful, that stuff. We used to go for walks. The beach was right there: the ocean was right there in front of us. It was January and we had to go out with a shovel. They gave us all a number, which was on the wall and there was a shovel for everybody and you hang your coat there. And you had to go out, in that cold, to dig that sand that was frozen. And some people dug deep and sat in there and would write letters home: they knew someone who would mail it or something. I never knew what to do with myself there: it was so cold, I remember. I can’t say the food was bad, but the rice was bad, always. The salt didn’t dissolve. So some of us came prepared with toilet paper to put it in there and throw it out afterwards: you couldn’t eat it. The rice always had lumps and was very salty. My sister was allowed to sit at my table, which was very unusual. I don’t know if my mother asked for that, because usually we were divided by age. It wasn’t bad there, we also had lessons there. I don’t remember learning anything, I don’t know what the lessons were in…. It was in a very light room, on the sea……. On January 10th we were taken to Wijk aan Zee, a resort on the North Sea, where a Catholic organization maintained a child convalescent home. Friendly nurses received us. One of them tried to tell us in Dutch that we should undress to let us wash them. They repeatedly pointed to large bars of soap, but we looked at them blankly. Then suddenly I noticed the resemblance between her words and my German words. Pleased with my discovery, I translated to the other children what the nurses tried to tell us. She never forgot my help, and I was their "darling", which in this severe environment brought certain advantages. They overlooked it when I took a book when we had to go for a nap - or ate my serving of peanuts in bed. 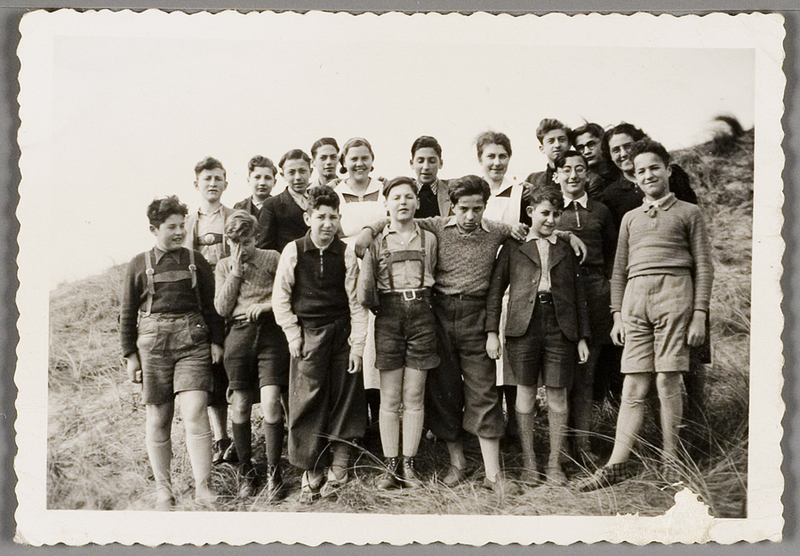 The German-Jewish refugee children, who had appeared in their home, differed greatly from the slum children, which the Catholic nurses cared for otherwise. We tried to convince them that the older among us - we were between two and eighteen years old - could wash themselves and not necessarily needed a regular nap. They agreed that we could wash ourselves, but we were not spared the daily naps. The food was much better than in Amsterdam, even if the meat was always mashed, after it had been cooked. We took our meals in a large dining room with marble table tops. The milk, served in zinc cups, tastes of the soapy water, in which they were washed. It was difficult to swallow, but we were not allowed to leave something. The only way out was to spill the milk. At meal times you could hear a musical tinkle when the cups popped on the marble slabs - on bad days this noise swelled to a veritable cacophony, to which many of us made a contribution. Two by two, we were taken daily over the lonely, wind-swept beaches for walks. The beach and the sea in winter differed from what I had in remembered of Norderney. Large threatening, greenish-black waves flooded the sand and splashed us when we were slow to jump out of the way. And yet, I sometimes enjoyed our walks, and I liked these lonely beaches with sparse tall grasses. 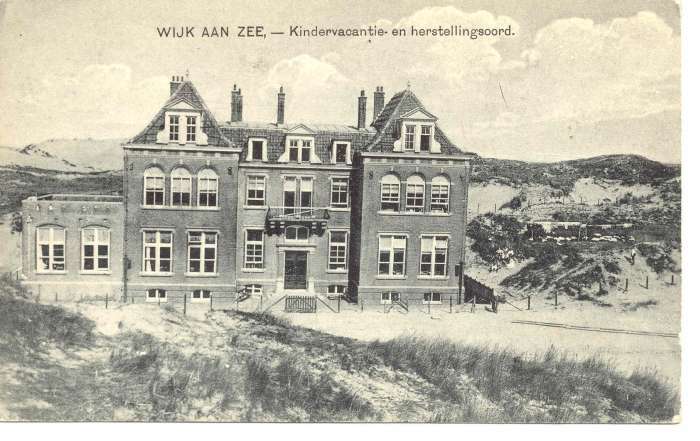 “From there I went to the Emmahuis in Wijk aan Zee, that was terrible! It was not as terrible anywhere else. In the first place of course you do feel upset, because you come from a family. Those barracks, I knew that was temporary, but the Emmahuis, the people in charge were so terrible, I don’t know if that was because that was cheaper, they did not speak their languages, no German, and there was one there who could really use her hands, and she did that too! We had to go out for walks, it was cold, and we had to go once or twice per day, I don’t remember exactly. And the matron, she would hand out the mail at a long table every morning. It was my birthday while I was there, and I got a postcard from an uncle in Germany.